Although Auckland is where our airport is, we scheduled this in the last league of our travel at the North Island of New Zealand. To save time, we immediately went to the nearest i-Site. 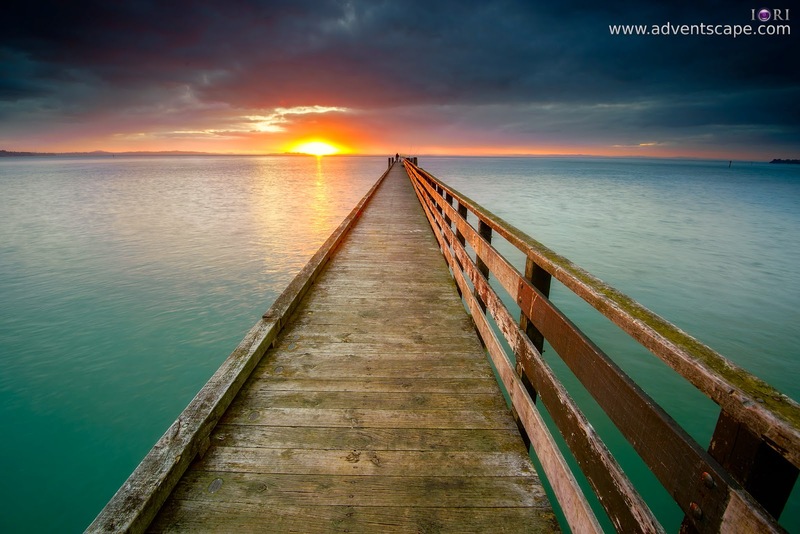 From all the suggested locations of the local tourist guide, Cornwallis Long Jetty is what stood out. 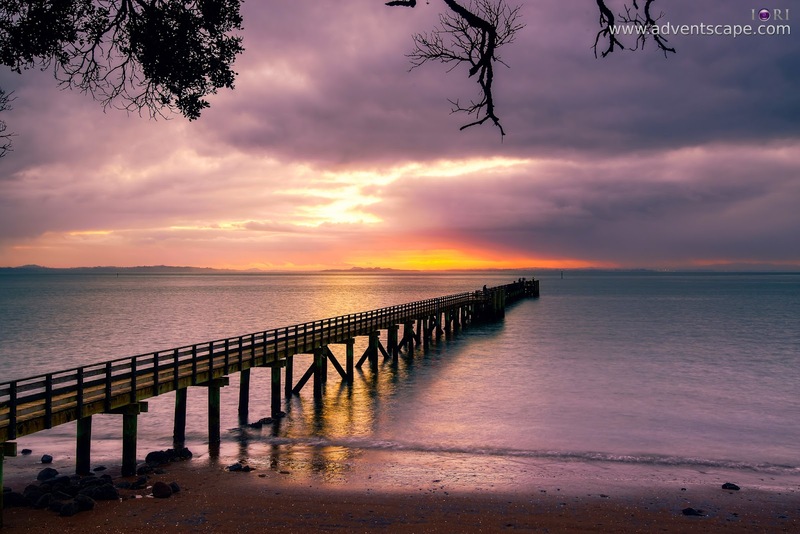 Cornwallis Long Jetty is located at the west part of Auckland, at the south of what looks like a peninsula. We planned a sunrise shoot so we decided to stay at Avondale Motor Park. This is just 30 minutes away from the jetty. I also suggest staying at Avondale as they have a clean and orderly holiday park. Reception is very friendly as well. Corwallis Long Jetty may not be for the tourist or the traveller who wants to explore those popular places. This location is more popular for photographers specifically doing landscapes, seascapes or fine art. Have a look at my photos to see what I mean. I noticed that the long stretches a few inches from the shore on screen. It's really that long. I have to use the 'satellite' view on Google Maps so that the jetty becomes visible. If you tried to search Cornwallis Long Jetty on Google, you might find it challenging. It was cold and dark when we arrived the Cornwallis. We need a torch. Anyway, if you're planning a sunrise photo shoot, then you'll always arrive at dark. The path is straighforward. We just followed the GPS all he way to the parking lot. I saw no toilets in the area. The weather is not cooperating when we arrived. It has heavy clouds. There is a small hint of blue skies, but it's very minimal. The heavy clouds have enough density to cover the sun. Good thing that there are gaps on the clouds and we saw small bits of light rays. A hint of safety. This area has access to cars that carry small speed boats on a trailer. These cars will drive all the way to the parking, but will drive in reverse to place their boats on water. Unfortunately when you're shooting, your back is turned to the reversing car. Moreso, the car is reversing with a trailer carrying a small boat. So it's a double blind spot for both parties. My friend was in this situation, good thing the reversing car is moving slowly and the driver is mindful that there is someone taking photos in front of him. You'll notice that this is a LONG jetty. 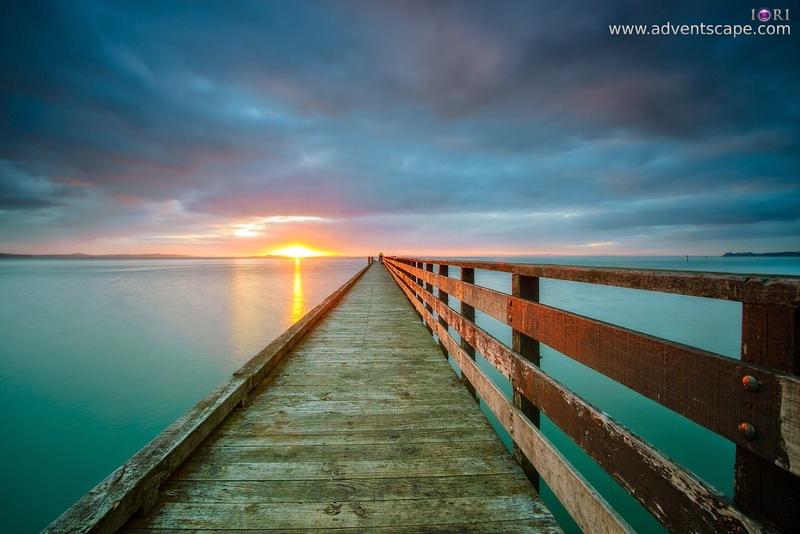 So you need to decide whether you want to shoot sunrise on the jetty itself or at land. We don't have the luxury of time so I ran on and off the jetty to maximise my composition. You can see here that I have photos wherein I'm more than halfway on the jetty and on land. For me, both locations are equally important and equally impressive. I didn't saw another photographers, but I saw many fishermen here. Fortunately, they are fishing at the further end of the long jetty. Thus when you're shooting on land, they are almost non-existent. You can clone them easily. But if you're shooting near the further edge of the long jetty, then it is a challenge to clone them out. If you want to have a clear view of the landscape / horizon, the fishermen don't always stand at the edge. 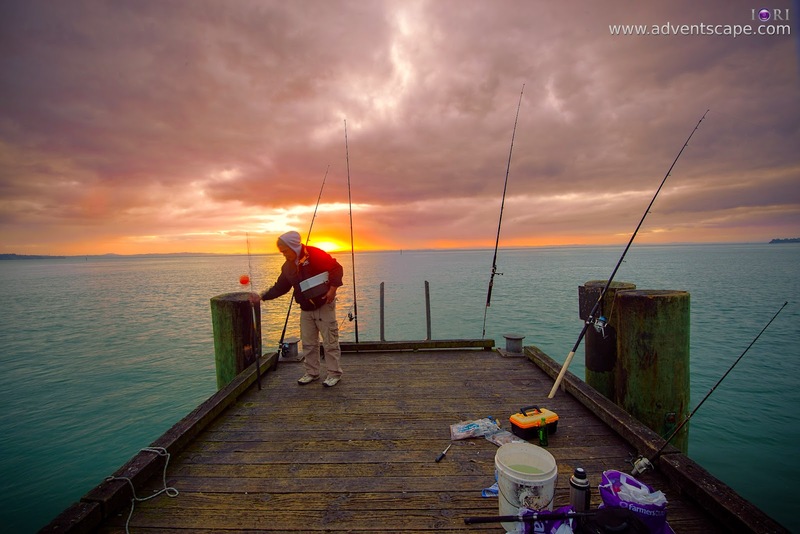 They usually prepare their bait, fasten their fishing rod at the edge of the jetty and sit on a corner. When they sit, they wait for a fish to get the bait. This is the only time that you can get a free view in front as the fishing rods are easy to clone out. But taking photographs with the fishermen isn't a bad idea. This is culture and I believe you should take this photo as well. I did take one photo with a fisherman on it. I first stayed on land. I took photos from the left and right side of the jetty. There are interesting subjects, framing and vantage points that can be used to enhance your composition. 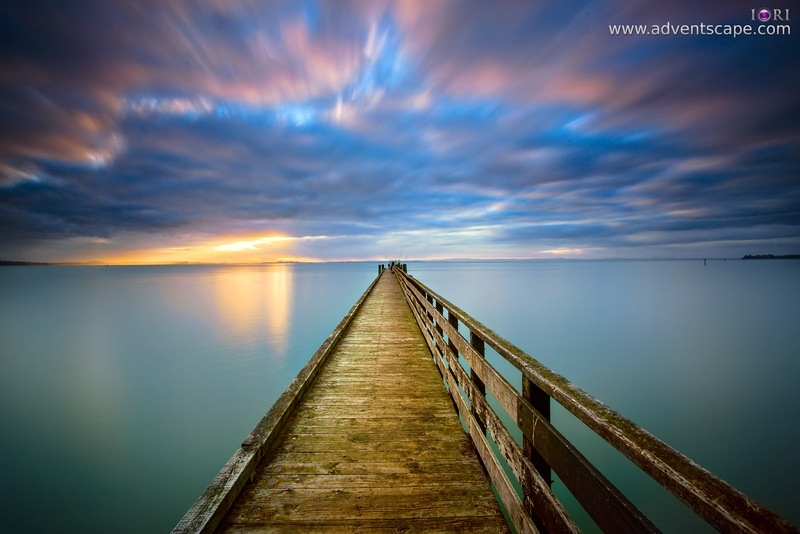 The jetty is long enough to give that feel of infinity. I didn't take photos under the jetty. I don't know why I don't have a photo under the jetty, probably it's not as exciting. But I usually take photos under a bridge or structures I can get down into. After shooting on land, or at the sand, I went straight to the jetty. It's a long walk from one end to the further end. It seems that you can't jump or climb, and vice versa, from the jetty to the land in an instant. So when the sun is rising, you have to decide which location you need to shoot. You can try to run, but the since the jetty is long, it takes some critical seconds away. What I did is that I focused shooting on land before sunrise. I took at at different positions from side to side and from a vantage point. Most photos are long exposure photos. A few minutes before sunrise, I immediately ran on the jetty to get into position. I went about 3/4 the length of the jetty. It's a good spot (IMHO) so that I still have some length of the jetty in my composition leading to the edge of the jetty. I'm a bit further from the fishermen as well so that I don't interfere with their fishing. I still have fishermen in the composition, but I can choose to leave them there or clone them out. They're very small in size so I did not clone them out. 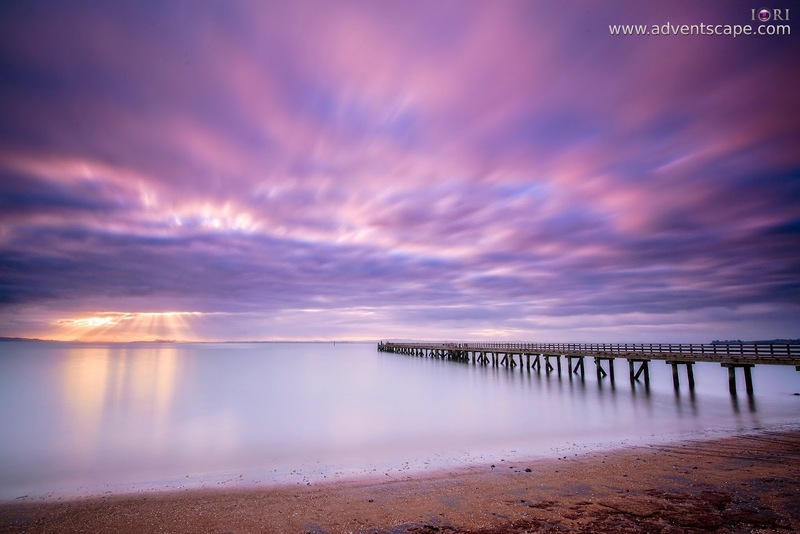 For photographers, Cornwallis Long Jetty is an amazing photographic location. 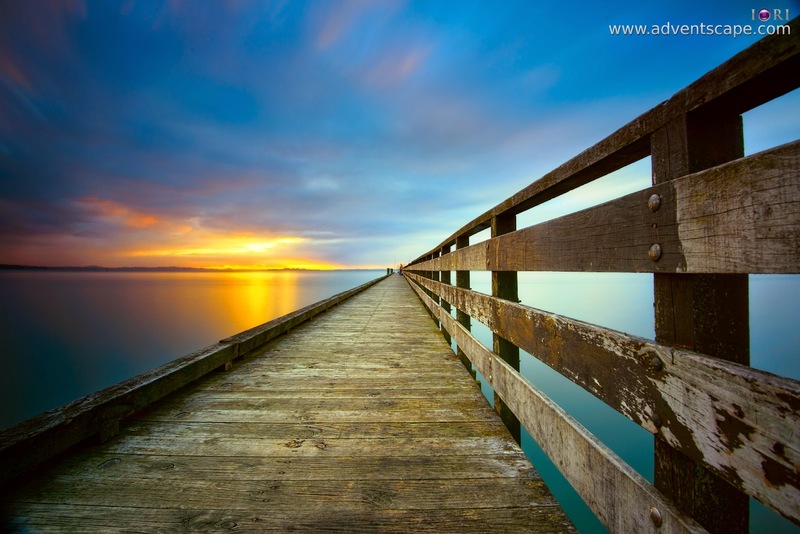 Many photographers who fancy jetties will defintely love this location. For tourist, not so much. It's off from Auckland. Going here just to see the jetty isn't really what you want as a tourist (or I might be wrong?). I'd love to go back if I have the chance since it's just close to the city and I'll just be taking photos during sunrise.